Published on 21st September 2017 by Honno Welsh Women's Press. 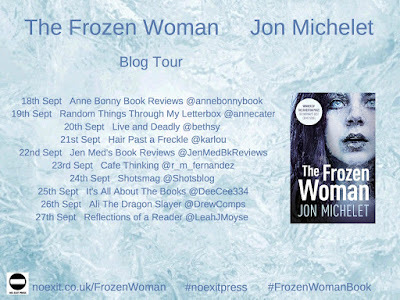 My thanks to the Author and the Publisher for the review copy and having me on the blog tour. Snow Sisters is the second novel written by Carol Lovekin, her first Ghostbird was published last year. I haven't read that one yet, and I must own up slightly and say that I am not usually the biggest fan of stories that contain ghosts, but I adored this book in so many ways, it was actually quite transformative. Snow Sisters is a book that defies genres, nestled in its own niche, if pushed I would say it is literary fiction, with magical realism and feminism. It really is a wonderful, absorbing and unique read. 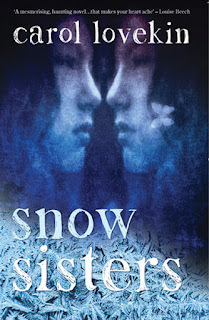 This is the story of Sisters, Meredith and Verity. 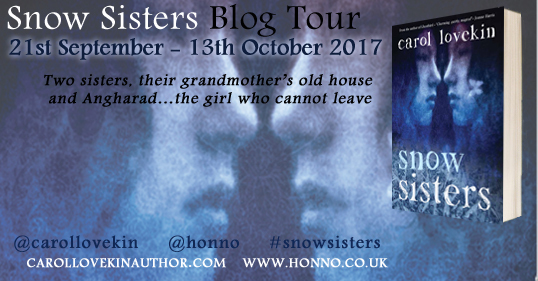 It is also the story of Angharad, a ghost of a girl who lived at Gull House 100 years prior. She has a sad story to tell and it seems that Meredith is the one to hear it. Allegra is the girls Mother, who is dysfunctional at best and seems distant and detached. It seems that she is incapable of showing her children the love and nurturing that they deserve. Nonetheless the girls have ambitions, they long to be independent. Relying on a man is not really in their plans. They have a wonderful relationship with their Nain, who seems to keep an eye on the girls from a distance despairing of her daughter Allegra's behaviour. Many themes are encompassed within the pages of this story; feminism, the mother/daughter relationship, hope, magic, love, sisterly bonds, favouritism. I was unprepared for the exquisiteness of the authors writing, the glorious prose and the poetic and lyrical nature of the wording. Colours and places, nature and sound, voices and landscapes, past and present. All of these things danced off of every page, a kaleidoscope of magic. The wonderful almost female only cast of characters, were believable, genuine and warm. Although not all likeable all of the time, they were all wonderfully written and envisaged by the author in great detail. I had a very vivid picture in mind of them all as I was reading. I have no doubt in my mind that this author is an artist, an artist with great insight. One that shows and doesn't tell. An artist that uses her literary palette with a deft touch that leads the reader on the journey, invites them to sit in the gardens of Gull House for a while and then lets them form their own conclusions as the landscape unfolds before them. A writer that isn't afraid to use the light and shade in this multi faceted and phenomenal story. I could recommend this one to every single person and I am sure they would love it as much as I did. 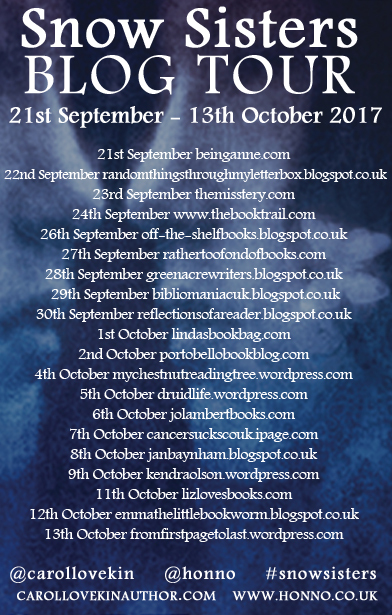 Please do have a look at the other stops along the blog tour. Published by No Exit Press on 21st September 2017. 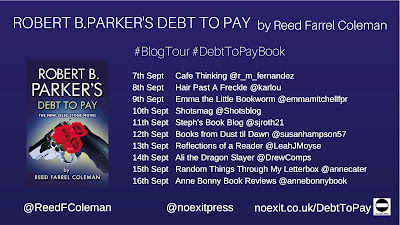 My thanks to the publisher for the review copy and Anne Cater for inviting me on the blog tour. 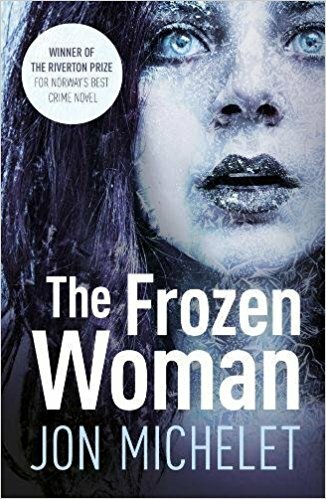 The Frozen Woman is a wonderful slice of Nordic Noir, that has been seamlessly translated by Don Bartlett. A multi layered story that was intriguing and at times harsh. I really enjoyed the descriptiveness of the Norwegian landscape and the fact that the Author pulled the reader in with a taut plot. The pace is not hurtling as has been known with some thrillers, but this book is as equally engaging. The body of a Woman is found in the garden of Vilhelm Thygesen, the police have nicknamed her Picea. Thygesen used to be a lawyer who is somewhat disgraced, a dishonest and slippery character. Detectives Stribolt and Vaage are called in to investigate and it isn't hard to see why Thygesen is their prime suspect. 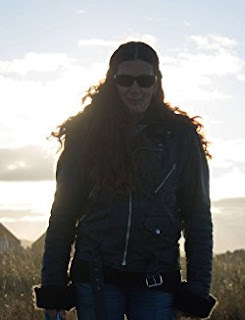 As the story progresses further strands of the story develop and the richness of the plot develops from here,biker gangs and blackmail play a part. I thoroughly enjoyed the interaction between the two detectives, Vaage and Stribolt. They don't always see eye to eye but they are as equally competitive and both strive for results. 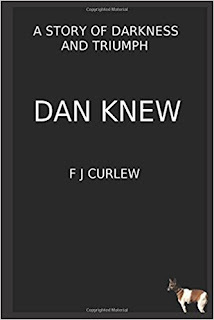 If you are looking for a fast paced thriller then this one probably isn't for you. However I relished the fact that this novel made me concentrate on the intricacies of the plot. It is a fairly short book but one that can't be rushed. 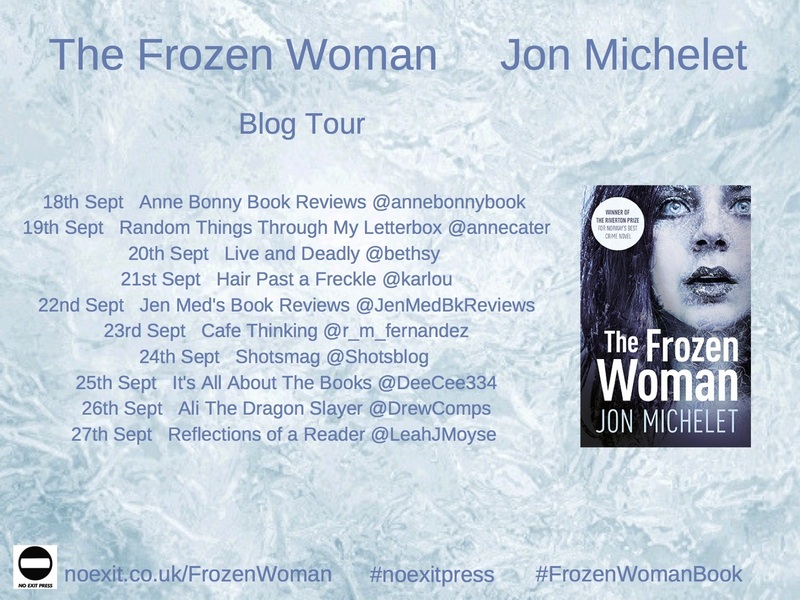 You can tell that Jon Michelet is an experienced writer, this is more than just Nordic Noir, it touches on some of the social issues of our lifetimes. I feel enriched from having read this one. 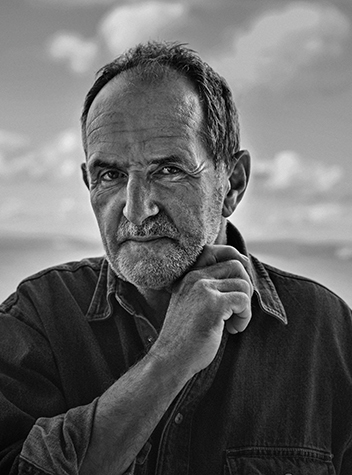 Jon Michelet has been one of Norway's leading authors through five decades. He made his debut in 1975 with the crime novel He Who Is Born to Be Hanged, Shall Never Be Drowned. He has since published numerous novels, plays and non-fiction books, and co-authored five bestselling reportage books from the Football World Cup with Dag Solstad. Michelet has also worked as a sailor, a docker, a journalist, publisher and newspaper editor. He is renowned in Norway for his strong commitment to a number of political and cultural causes. Michelet has been awarded the Riverton Prize for Best Norwegian Crime Novel twice, for and The Frozen Woman both part of his long running Vilhelm Thygesen series. 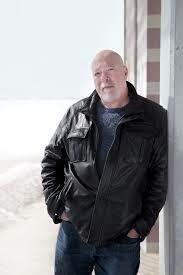 He has also had phenomenal success with his epic series, A Hero of the Sea. Telling the story of the dramatic experiences of a Norwegian merchant navy sailor during WWII, the five novels published so far have been topping the charts since 2012, and have sold well over half a million copies, making Michelet a household name in Norway. Published in Paperback on the 30th September 2017. 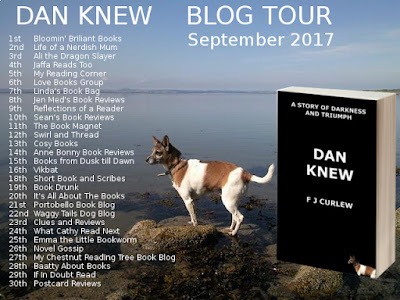 My thanks to the publisher for the review copy and to Anne Cater for inviting me on the blog tour. With a promiscuous past, and licking her wounds after a painful breakup, Catherine wonders why she resists anything approaching real love. But when she loses her home to the devastating deluge of 2007 and volunteers at Flood Crisis, a horrifying memory emerges … and changes everything. 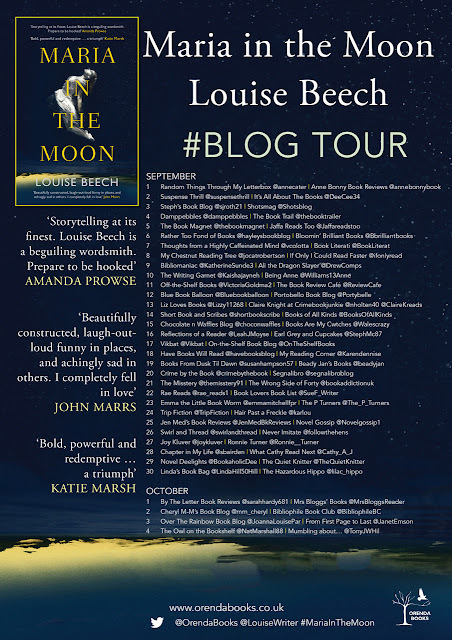 I have long been a fan of Louise Beech and her writing, having previously read and reviewed How to be Brave and The Mountain in my Shoe. These two books both were on my favourite reads in their respective years and I did wonder what the author would be able to follow that up with, however worry ye not. 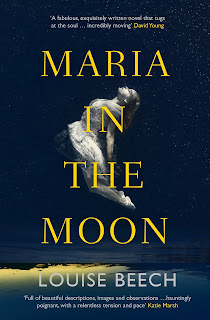 Maria in the Moon is AMAZING! I hope my review can do it justice. Catherine Hope is the main character, she is suffering some confusion and anxiety, she doesn't remember the year she was nine. The same year that her family stopped calling her Catherine-Maria. She doesn't know why her name changed and what happened to cause it. She has a somewhat difficult relationship with her Mother. Her life is in turmoil, having had her home flooded, she is displaced in all senses of the word. As a volunteer at Flood Crisis, she meets new people and slowly but surely she is able to tap into her memories and things that have long been forgotten. Louise Beech writes with such elegance, the prose is graceful and at times sparse. The sparsity a reflection of Catherine's memories. A clutch of them here or there and sometimes a small breakthrough. The character of Catherine is brilliantly done, she is believable and relatable even though she is troubled. The periphery characters are warm and all add something unique individually. 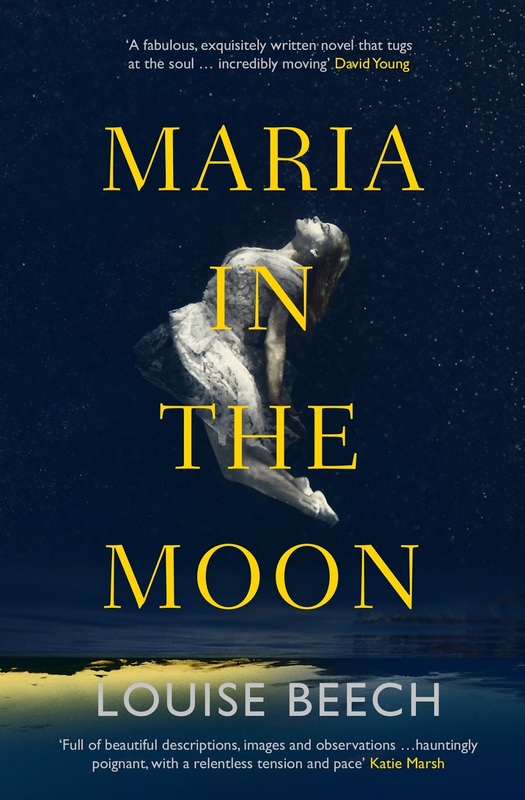 What I find most amazing about Maria in the Moon and indeed all of this author's books is her natural empathy and ability to evoke emotion in the reader and to make them think. She has the ability to reach inside me to a place that touches me. Her stories are memorable, but the characters more so. They all have a story to tell and Louise gives them a voice. I found this book something of an allegory, the tumultuous impact of the devastating floods matching up with the way that Catherine feels. The irony of her being called Katrina at the Flood Centre was not lost on me, named after the Hurricane. Everybody knows though that if you ride out the storm, you get to see the sun again. This book portrays the power that memories can have, the good and the bad. Although quite dark in nature, there is always an underlying thread of hope. It is beautiful inside and out with a cover that is also apt. The author has a natural story-telling ability. This is the best I have read this year. 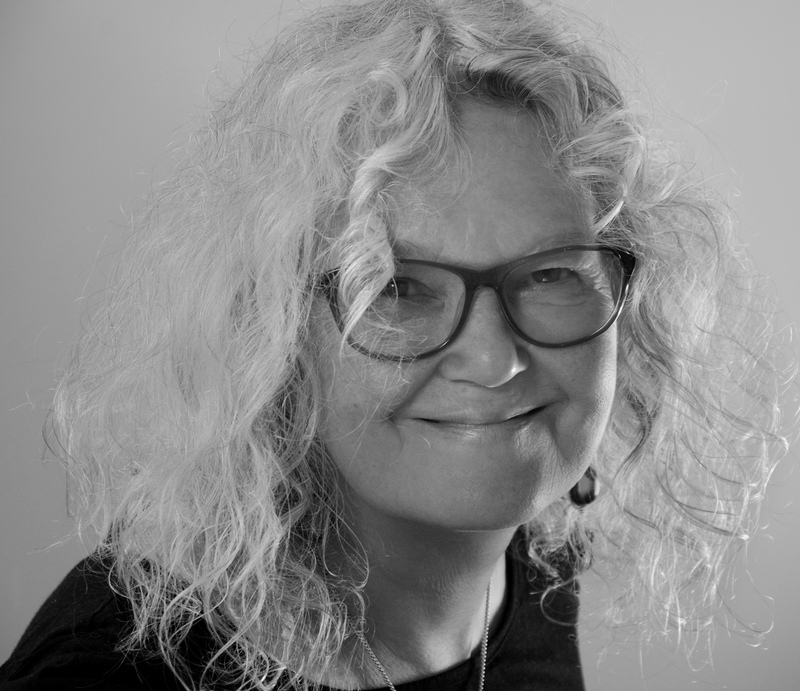 Louise Beech has been writing since she could physically hold a pen. 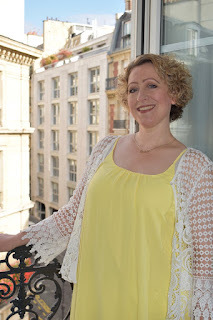 She regularly writes travel pieces for the Hull Daily Mail, where she was a columnist for ten years. Her short fiction has won the Glass Woman Prize, the Eric Hoffer Award for Prose, and the Aesthetica Creative Works competition, as well as shortlisting twice for the Bridport Prize. 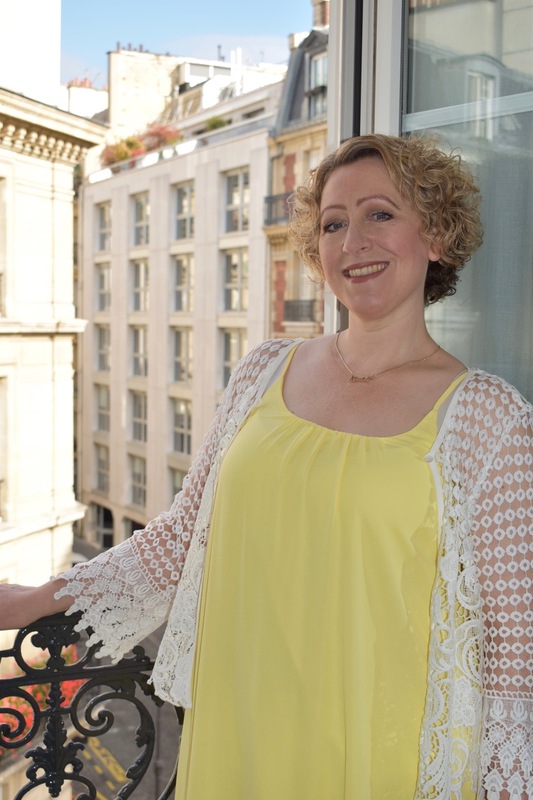 Louise lives with her husband and children on the outskirts of Hull – the UK’s 2017 City of Culture – and loves her job as Front of House Usher at Hull Truck Theatre, where her first play was performed in 2012. Her debut novel, How to be Brave, was a number one bestseller on Kindle in the UK and Australia, and a Guardian Readers’ Pick in 2015. The Mountain in my Shoe longlisted for the Guardian Not The Booker Prize. Published by No Exit Press on 21st September 2017. My thanks to the publisher for the review copy and Anne Cater for inviting me on to the blog tour. All is quiet in Paradise, except for a spate of innocuous vandalism. Good thing, too, because Jesse Stone is preoccupied with the women in his life, both past and present. As his ex-wife, Jenn, is about to marry a Dallas real-estate tycoon, Jesse isn't too sure his relationship with former FBI agent Diana Evans is built to last. But those concerns get put on the back burner when a major Boston crime boss is brutally murdered. Despite all evidence to the contrary, Jesse suspects it's the work of Mr. Peepers, a psychotic assassin who has caused trouble for Jesse in the past. 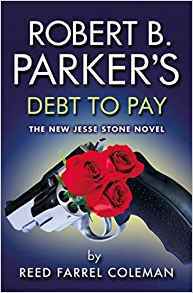 As far as I am aware this is the 15th Jesse Stone novel, after the death of Robert B. Parker the legacy of writing this series was passed to Reed F Coleman. Coming in to a series at such a point could have been difficult but straight away it was easy to see that I was going to love this book. There is a nasty, vindictive serial killer on the loose, who has been named Mr Peepers. Although I don't think he would like you to call him that to his face. He has had run ins with Jesse Stone before and his colleagues at the Paradise Police Department. This time however he is hellbent on revenge and isn't going to stop until he gets it. Jesse's Ex Wife Jenna is getting remarried and him and his new girlfriend Diana are going to the wedding in Dallas. Trouble is it seems that Mr Peepers has Jenna in his sights as his next victim, payback seemingly the motive. However is everything as it seems? Jesse Stone is an alcoholic, a good man trying to the right thing and a loyal colleague. I liked him very much. I enjoyed the dynamic between him and his colleagues. The casting and description of the characters in this book is superb. Whilst pretty far retching and at times very gruesome the plot of this book is believable and exciting. I found it entirely absorbing, sitting down and reading it one go. A superb plot but it really is the characters that drive this story. A classic case of scattered clues and a game of Cat and Mouse drives the pace. Interested to read more from this series as I found this book to be utterly entrancing, exhilarating and just the rollercoaster of a crime novel that I like to read. Really recommend this one. (including the acclaimed Moe Prager series), short stories and poetry. Macavity, Barry, and Anthony Awards. family in Suffolk County on Long Island. 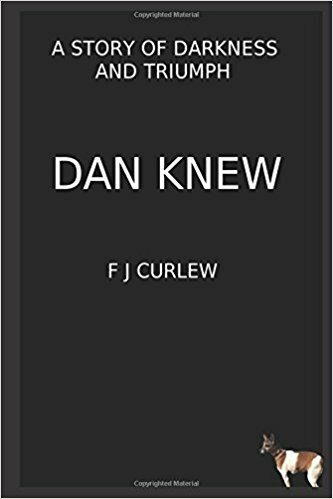 Many thanks to the author for providing me with a review copy of Dan Knew and inviting me on to the blog tour. The book is available now and links have been provided further down this post. 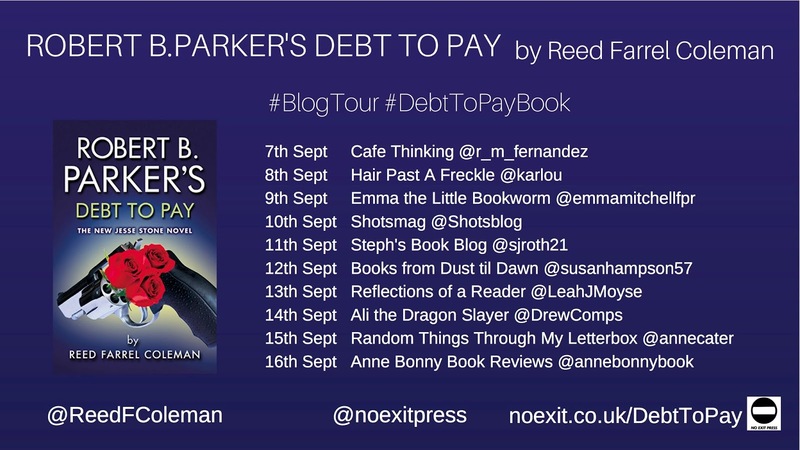 Do have a look at some of the other stops on the blog tour.